The Satan Bug (1965) is one of the first science fiction scores in Jerry Goldsmith's career, the predecessor of such landmarks as Planet of the Apes, The Illustrated Man, The Mephisto Waltz, Capricorn One and Alien. It is also a recording long thought to be lost, and that is in some ways still true—please see below. The Satan Bug was a "techno-thriller" (as it would be called today) about a top-secret virus—capable of ending all life on earth—stolen from a secret government installation in the Southwest U.S. George Maharis plays the government agent assigned to retrieve it, with Richard Basehart, Ed Asner, Anne Francis and Dana Andrews among the supporting cast. 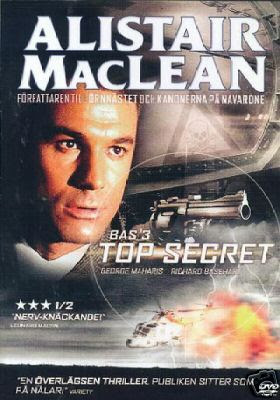 Based on a book by Ian Stuart (a pseudonym for Alistair MacLean) and directed by John Sturges, the film features hidden identities, cloak-and-dagger intrigue, and chases galore. 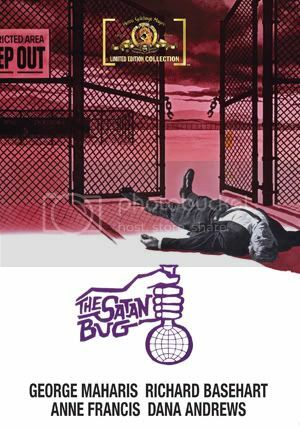 Jerry Goldsmith's score to The Satan Bug was an important stepping stone, featuring snaking, snarling atonality and avant garde suspense as a kind of bridge from his television work (such as on The Man From U.N.C.L.E.) to feature classics like Planet of the Apes. Goldsmith wrote for an orchestra devoid of high strings—only cellis and bass—with a battery of brass, percussion, woodwinds and two early synthesizers, the Hammond Solovox and Novachord. Utilizing 12-tone serial techniques, Goldsmith concocted an eerie, malevolent sound world of astringent action and seething creepiness. The master tapes to The Satan Bug were thought to be long destroyed (along with most of United Artists' original soundtracks), but two reels turned up miraculously in the collection of Bob Burns, a beloved industry figure who has archived countless movie props and artifacts. The two units of the 1/2" three-track stereo masters—recorded on the Samuel Goldwyn scoring stage in terrific sound quality—represent around 40% of the score, though none of the large-scale action cues. The only other source for the Satan Bug recording is a monaural music-and-effects track which was isolated on a 1996 laserdisc of the film. By sound effects, please note, we mean sound effects: car noises, helicopters, gunshots, doors slamming, grunts and groans, air conditioners, monkey chirps, telephones...it is not pretty. But it is all that there is. The surviving music-only sections total 30:34, and our original intention was to release this material only. We then decided to add the music-and-effects cues as a bonus. It simply happened to work out that the music-and-effects cues "cleaned up" better than we had hoped (due in large part to the transparent way Goldsmith wrote the music), and that the cues were best presented chronologically. The CD liner notes (by Jeff Bond) provide programming instructions for making a music-only sequence. Whether you buy this CD or not, please understand exactly what it contains, and why we chose to release it. For us, it's a Jerry Goldsmith masterpiece from the sterling '60s and we are delighted to present it. Really enjoying this more and more with repeated listening that the sound FX are no distraction at all. Glad this could be made available at long last in this format! There's one error in theCD liner notes which says that in the film all of Harold Gould's scenes as Dr. Osterer were cut. In fact, Gould does appear in the opening sequence when John Anderson as the security chief arrives at the base, and Gould who is just leaving, tells Anderson he needs to talk to him and Anderson says he'll go to his house tomorrow. Same feeling about this score. The Main Title is fabulous. You can recognize arrangements from THE PRIZE and THE MAN FROM UNCLE pilot. What the C.D. inlay notes failed to mention was one of the keyboards used in the score was a Hammond Solovox modified with an Echoplex by electronic music pioneer Paul Beaver. Goldsmith mentions this in an interview in the February 1985 issue of KEYBOARD magazine. I should know. I gave a copy of the two part interview to The Margaret Herrick Library. This CD just gets better and better with every spin, sound effects and all, and call me crazy, but I'm getting a heavy LOST vibe from some of these tracks. Mayhap Giacchino's a fan as well. This is definitely one of my favorite early Goldsmith scores. The main title is amazing and so is the rest of the score as it makes for a very cohesive listen. I still need to get the FSM archival edition, I've only had the isolated laserdisc track so far (which also has fx and is in mono). "The Satan Bug" has been released as a made-on-demand DVD as part of the MGM Limited Edition Collection. Looking forward to seeing this in an anamorphic 16:9 transfer at long last. Is the DVD available to order now? Not at Amazon I notice. The Satan Bug is one of Jerry Goldsmith's most imaginative scores of the 1960s. Long thought lost, two reels of the stereo master tapes turned up in a private collection. The rest of the score survives only as a music-and-sound effects track. Both sources have been combined for this archival presentation.